The most important cause of these premalignant lesions is too much exposure to ultraviolet light from the sun or other sources. This can cause the DNA of skin cells (keratinocytes) in the outer layer of the skin (the epidermis) to change. Sometimes this alteration in DNA allows the skin cells to grow out of control and develop into a scaly area called an actinic keratosis or Bowen’s disease. We see them most commonly over the hands, forearms, face, bald areas of the scalp and even along the rim of the ear. It is common to find actinic keratoses to be more pronounced over the right side of the face and right arm due to exposure to UV through the window of your car! Not only are they a marker of intensive UV exposure but they can also evolve into a squamous cell carcinoma if they are not treated. 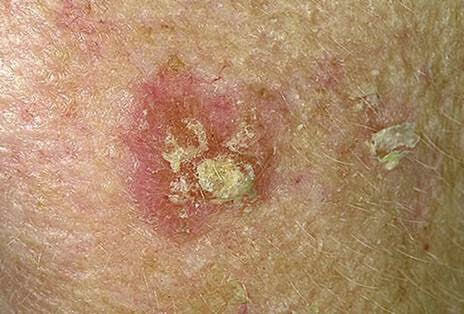 On average 10% of actinic keratoses develop into a skin cancer. During your appointment at Atlantic Dermatology and Laser, not only will we discuss treatment options for the sun damage you have already incurred, but will also carefully consider preventative measures which can be put in place to reduce further pre-malignancies and malignancies from occurring.From discussing optimal sun protective measures, to advice about which sunscreen to use and how often, to recommending oral supplements or using one of our “field treatment” options such as topical chemotherapeutic creams, laser treatment or peels. No-one is happier than we are when we need to do less and less with each visit! We always do our best to remain practical in our recommendations. We understand how much of our lifestyle revolves around time spent in our beautiful sunshine. We just want to help you protect yourself as much as possible.